ZOO GRIPS brings to India the first comprehensive Grip Company, focusing on having the right equipment as well as the right operators and offering dollies, cranes, rigging and building that allows for a camera to be operated from virtually any position. Directors of Photography will now be able to make use of a full facility Grip package that will allow them access to a range of equipment, being operated by trained Grips, ensuring that the shot they need is the shot they get, within a safe and comfortable operating environment. 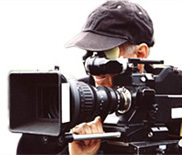 Directors will have greater flexibility to get the shot they need. Producers, will have a smaller, more efficient crew & a safer, more fool proof working system. ZOO GRIPS works on the principle that a piece of equipment can only do as much for you as the people who handle it are capable of. We therefore started with the strongest possible foundation: a fully trained Key Grip. ZOO GRIPS: Godown No. 116 H, Cotton Depot, Cotton Green, Mumbai 400 033. Copyright © ZOO GRIPS, 2010. All Rights Reserved. Optimised for IE 7.0 and 1024 * 768 resolution and above. Website Designed and Developed by Phi.